'B' Bty, 74th Brigade, Royal Field Artillery, Guards Division, B.E.F. Next of Kin: Son of Frederick and Emma Schofiled of 1 Mayfield Cottage, Cowleigh Road. 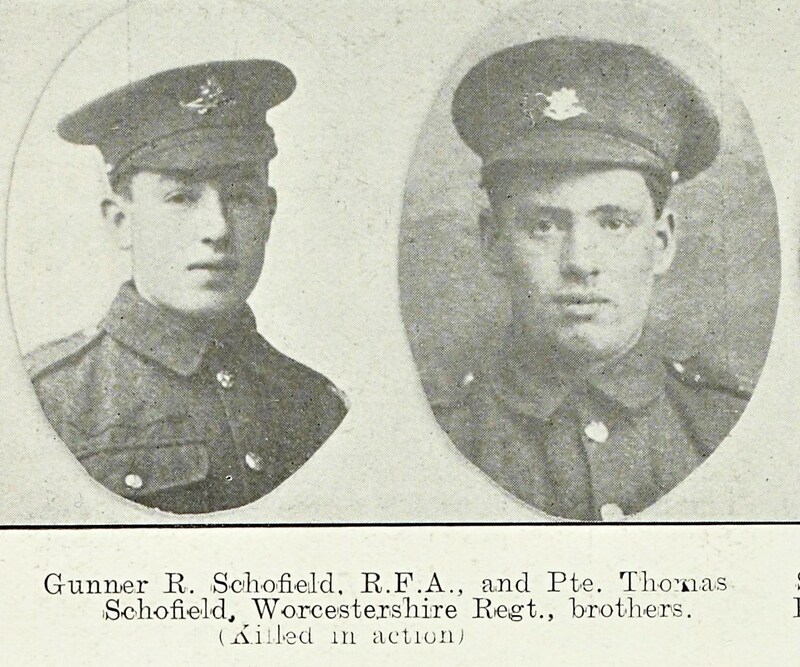 The Malvern News reported in April 1916: “Mr and Mrs Frederick Schofield of Mayfield Cottage, Cowleigh Road have been informed that their son Gnr R Schofield RFA has died of wounds in hospital. He joined the colours after the outbreak of war. His elder brother Thomas of the Worcestershire Regt has been missing since August.” The Cowleigh Parish Magazine added that the last his parents had heard of him was that he managed to scribble a few lines to his parents while lying out on the battlefield wounded and waiting to be picked up by the stretcher-bearers.